Unfortunately for Coinbase, it is once again losing another executive by the name of Dan Romero. He currently works as VP for the company’s international business. The exodus was officially announced through a Medium post. Romero is expected to make things official by the end of the month. He first joined the firm back in April 2014, serving under its umbrella for more than four years. He said that the departure would give him some time to figure out what is next for his career. When he first joined the company, the people working there were just 20. Now, it offers more than 700 employees. Resona is deemed to be one of the three banks working alongside Ripple and SBI Holdings. The project involves the cash transfer app called Money Tap. However, the banking institution, which is deemed to be the fifth largest in Japan, has decided to move forward and leave the project. The bank made an official announcement, suggesting that it would soon cancel the remittance service provide via the aforementioned app. The timeline, according to the company, will be on May 13. Apparently, though, the bank did not provide any reason as to why it is pulling out of the project. Money Tap, in particular, was first launched back in October. It includes participations from Resona, Suruga Bank, and SBI Sumishin Net Bank. The product is designed to provide money transfers deemed to be bank-to-bank and in real-time. The research arm made an interesting revelation via its Twitter page. It suggests that miners of Bitcoin SV have obtained gross losses of about $2.2 million. The report further claims that these miners saw a negative gross profit margin of only 12 percent. This was said to be a narrative that started since the coin was developed in a hard fork that, in one way or another, split Bitcoin Cash. The tweet from the research arm further notes that the estimate revealed only accounts for mining electricity. As far as 24-hour data is concerned, the volume of trade in the cryptocurrency space reached $39.13 billion. Meanwhile, its market capitalization managed to acquire at least $172.67 billion. There is a reason why Bitcoin continues to be the leading crypto in the world. For starters, its volume of trade gained around $11.37 billion after experience a 0.24% jump. The same thing can be said for market capitalization, which took home about $89.98 billion. Although Ethereum remains in the second spot, its numbers are slightly declining. It fell 0.90% for a volume trade of only $5.13 billion and a price of $163.82. Lastly, its value in the market ended the 24-hour timeline with only $17.31 billion. Almost all of the top 10 cryptos are falling, with Bitcoin and Binance Coin being the exceptions. When talking about the 10th spot in the ranking, Cardano has the upper hand against TRON. Bitcoin’s market price jumped 0.24% to $5,099.73, and its value in the market is $98 billion. Ethereum’s market price fell 0.90% to $163.82, and the market value is $17.31 billion. 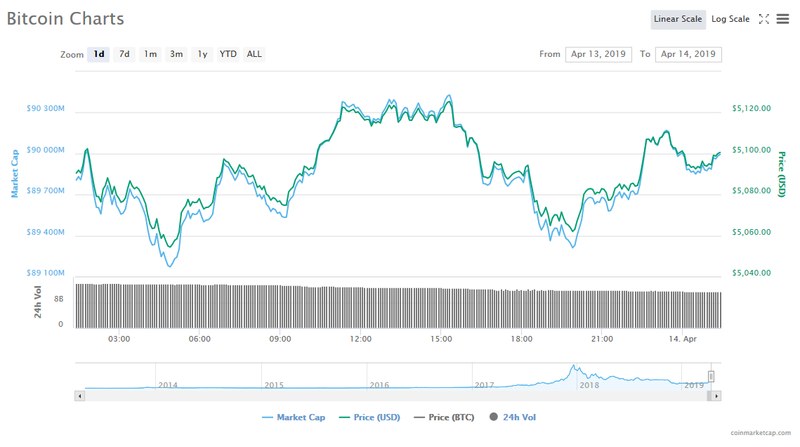 XRP’s market price fell 0.77% to $326123, and its value in the market is $13.63 billion. Bitcoin Cash’s also took a fall in its market price at 1.71% to receive $278.27 in price, and its value in the market is 4.93 billion. 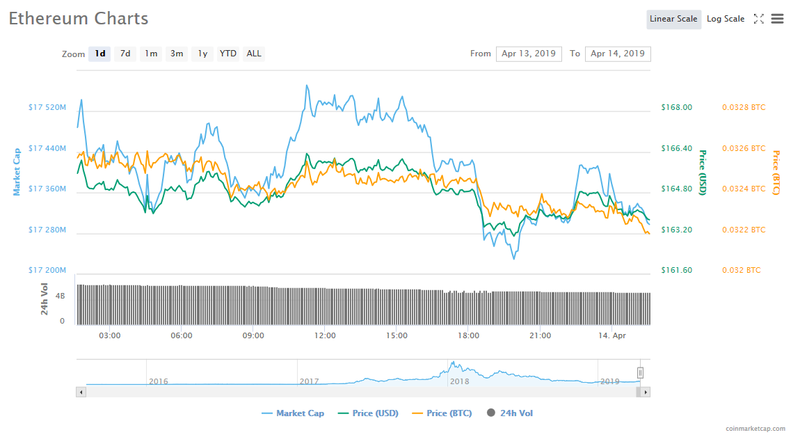 EOS’s market price slightly stumbled at 03% to $5.31, and the confirmed value in the market is $4.81 billion. Litecoin’s market price fell 1.56% to $78.24, and its value in the market is $4.78 billion. Binance Coin’s price in the market jumped 0.19% to $18.50, and its value in the market is $2.61 billion. 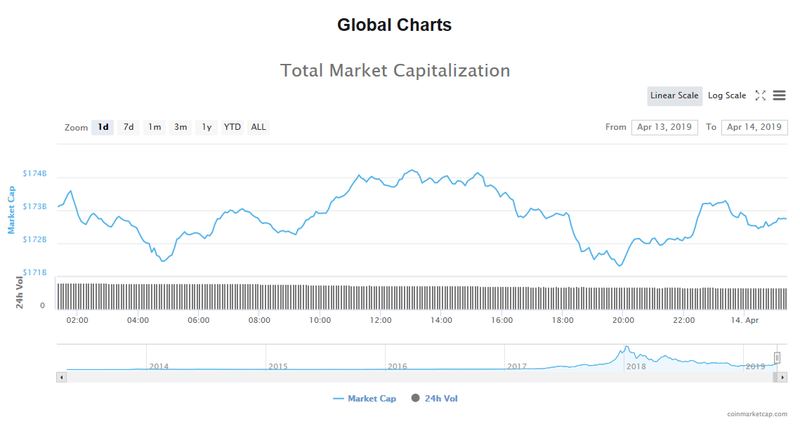 Tether’s market price fell 0.01% to $1.01, and its value in the market is $2.43 billion. Stellar’s market price fell 0.21% to $114993, and its value in the market is $2.22 billion. Cardano grabbed the 10th spot and defeated TRON, although it fell around 0.99% and a trade price of $083838. Lastly, its market value recorded a figure of $2.17 billion. CheapAir, a travel booking website, announced on that it would be changing its Bitcoin payment processor from Coinbase to Bitpay. CheapAir is the first ever travel business in the world that began accepting Bitcoin as a method of payment. That was way back in 2013. Despite the fact that Bitcoin Cash has a scheduled hard fork on November 15 – tomorrow – Asian traders are buying up the cryptocurrency. Their logic is that even though it is almost certain that this hard fork is going to result in two new cryptos being created, the original one is going to be more valuable than the two new ones. As far as cryptocurrency tracking resource CryptoCompare is concerned, its recent study has revealed that 85 percent of crypto assets enable development teams to alter their platforms. To create the report, it simply reviewed hundreds of crypto and blockchain projects.